Does this work with AGM batteries? Thanks Aaron. Is it appropriate to use this design in a vehicle? By the way, if you order it specifically for AGM’s, make sure to let us know right when you order so we can custom tweak the voltage so it won’t go over 14.8 volts. 15.1+ is for flooded cell lead acids. This model is for 12 volts, which isn’t enough unless you have some switching system to put the batteries into 12v then it will work. This is only good for about 150 watts though so isn’t a lot, but if you need something along those lines, it will work perfect. That will just be supplemental power and won’t be enough to full charge a whole bank in one day or anything. I’d probably be looking at something for a 240W panel, charging 2x100AH of AGM batteries in a VAN. the panel will be mounted permanently to the roof. Thanks. I was reading that the efficiency of these chargers isn’t actually higher than a standard charger, maybe 10% less efficient, but that it will improve the life and capacity of the battery which is what makes it worth it. are these systems better to be used with thin film panels? or mono crystaline? They definitely improve the life of the battery, but they are also more efficient than standard charge controllers. We have tested these 10 & 20 amp units with the new circuits at literally. 99.x% efficiency. They get more to the batteries from the panels than anything else on the market. Where did you read they’re not more efficient? Thin film panels are always better because you can actually charge your batteries in low light conditions, but the chargers work no matter what panels you have. Ideally, the VMP is about 18.5 volts – that is what is required to actually charge your batteries properly. If it is less than that, they still work but the battery voltage won’t be pushed as high. When will EX units larger than 20amps be available? Hi James, if you want a custom one for a specific amperage rating, just email us at the email in the banner and we’ll give you a quote. I have 6 Rolls batteries, 820AH, 6 volts each in a 12 volt system. The batteries are possibly 10 or more years old and have been operating on a 50 amp mppt charge conrtoller. the batteries are in need of reguvination. I just bought 80 amps of solar panels that have 21.9 Voc, 18.0 Vmpp waiting to be used. I would like to use a 80a12v charge controller and also reguvinate my batteries. My question is, how should I proceed? Sorry about the spelling, I intended to go back and correct!! 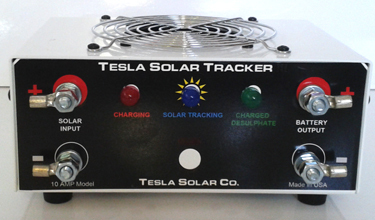 Hi Bob, to use the S80A12 solar charge controller for rejuvenation, you would have to either make sure you have full sun to push the batteries to the top or have an adjustable power supply to input to the controller to do that. Once the batteries are at the top (15.3 volts), then you need to discharge them and then recharge to the top and repeat multiple cycles of this until the capacity gets to the plateau for those particular batteries. Once you get to that plateau, they’re rejuvenated as much as they can be for their shape. Is that basically what you’re asking? Yes and I hope 18.0V will be close to Ideal. Suppose it would….I cannot get on to order the charge controller. It takes me to paypal. 18.5 is perfect for vmp but 18 will still work. Are you wanting to pay by another method? If so, you can send an email to the email in the banner at the top of the page and Jeff can give you other options.